In what was termed as a landmark judgment, the UK Supreme Court has ruled that the lower courts were wrong to override the conclusions of a medical expert when considering forensic evidence of torture in a Sri Lankan asylum seeker’s claim. An asylum seeker from Sri Lanka, known as ‘KV’, appealed a Home Office decision to refuse his asylum claim. 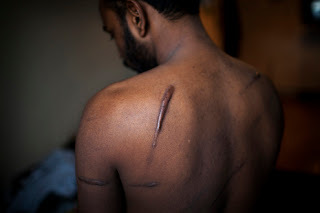 Expert medical opinion presented to the tribunal, which assessed evidence of torture, concluded that the physical evidence of torture, mainly comprising scarring from having hot metal rods applied to his skin, was highly consistent with his account. The asylum tribunal dismissed his asylum appeal, ruling that ‘self-infliction by proxy’ (i.e. the infliction of injuries by a third party in order to leave fabricated evidence of torture scarring) had not been conclusively ruled out. The Court of Appeal upheld this finding and went even further in saying the medical expert had “trespassed” into the territory of the Asylum Tribunal.